John Green reviews a sporting malady known as the yips and the 24-hour news network, CNN. 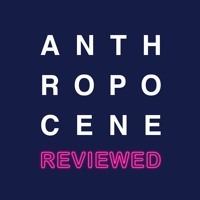 (00:00) to (02:00) Hello, and welcome to The Anthropocene Reviewed, a podcast where we review different facets of the human-centered planet on a five-star scale. I’m John Green, and today I’ll be reviewing CNN and a sporting malady known as the yips. I don’t know much about either of these topics, but if I’ve learned anything from cable news, it’s that having a strong opinion is much more important than having an informed one. Okay, so, the yips. On October 3rd of the year 2000, a 21-year-old pitcher named Rick Ankiel took the mound for the St. Louis Cardinals in the first game of a major league baseball playoff series. It occurs to me that you may not know the rules of baseball, but for our purposes all you need to know is that, broadly speaking, professional pitchers throw baseballs very fast—like up to 100 miles per hour—and with astonishing accuracy. Pitchers who can consistently place their throws within a few square inches of space are often said to have “good control.” Rick Ankiel had great control. He could put the ball wherever he wanted. Even when he was in high school, the professional scouts would say, "Look at that kid’s control. He’s a machine." But about a third of the way into that playoff game in 2000, Rick Ankiel threw a very low pitch, so low that the catcher missed it—a phenomenon known as a “wild pitch.” Ankiel had only thrown three wild pitches all season, but now, suddenly, he couldn’t regain his control. He threw another wild pitch, this one over the batter’s head. Then another. Another. Another. He was quickly pulled from the game. A week later, he started another playoff game. He threw five wild pitches in twenty attempts. Rick Ankiel never consistently found the strike zone again. (02:00) to (04:00) He won a few more games as a major league pitcher, but he couldn't recover his control. He sought all kinds of medical attention, and even began drinking huge amounts of vodka during games to dull his anxiety, but his pitching never recovered. He had contracted the Yips. The kid, it turned out, was not a machine. Kids never are. Rick Ankiel wasn’t the first baseball player to forget how to throw—in fact, the phenomenon is sometimes called “Steve Blass Disease” or “Steve Sax Syndrome,” after other ball players who’ve suffered similar sudden-onset throwing challenges. The Yips have many other names as well—whiskey fingers, the waggles, the freezing. But I like “Yips” because it’s such an anxious word; I can feel almost feel the muscle twitch inside the word itself. The Yips are most common among golfers—around a quarter of serious golfers struggle with them. Most have a physiological problem in their wrist muscles called focal dystonia, an involuntary contraction of muscle likely caused by overuse. Writers’ cramp is another form of focal dystonia. But the Yips probably have multiple causes, which makes them maddeningly difficult to treat. Golfing Yips usually appear when golfers are trying to hit short shots on the ground called putts, and people have tried all kinds of cures to stop the spasms—right handed golfers might putt left handed, or they might try unconventional grips, or long putters, or short ones, or bending over the club and anchoring it on the chest. But the yips don’t just affect putting: One of the world’s leading golf coaches can only effectively swing a driver while looking away from the ball. The Yips do not seem to be a result of performance anxiety, although anxiety can worsen the problem—as it worsens many physiological problems, from diarrhea to dizziness. (04:00) to (06:00) Many golfers, for instance, feel the Yips when they play on a course but not when practicing on a putting green. I get the Yips when playing tennis on forehand shots—my arm muscles jerk just before the racket hits the ball, and like that golfing coach, the only way I’ve found to avoid the Yips is to glance away from the ball as I swing. But weirdly, I don’t feel the Yips when I’m warming up or hitting with a friend, only when we’re keeping score. Some argue the Yips can be cured by psychotherapy, specifically by processing traumatic events in one’s sporting life, but I have no negative memories of tennis. I like tennis. I just can’t hit forehands while looking at the ball. But of course physiological problems can also cause anxiety—for professional athletes, the Yips are a threat not just to their livelihood but to their identity. The answer to the question, “Who is Tiger Woods,” is invariably, “Tiger Woods is a golfer.” Well, Rick Ankiel was a pitcher—until the Yips. This complicated interplay between the so-called physical and the so-called psychological reminds us that the mind/body dichotomy isn’t overly simplistic; it’s complete hogwash. The body is all the time deciding what the brain will think about, and the brain is all the time deciding what the body will do and feel. Our brains are made out of meat, and our bodies experience thoughts. Are the Yips physical or psychological? Yes. The Yips are worsened by anxiety, and they worsen anxiety. When we talk about sports, we almost always talk about winning as the measure of success—Vince Lombardi famously said that Winning isn’t everything; it’s the only thing. But I’m dubious of that worldview, in sports as well as outside of it. I think a lot of the pleasure in sports is found in performing well. (06:00) to (08:00) At first, winning is a sign that you are getting better, and then as you age, winning becomes proof that you still have it—the it being control. You can’t decide whether you get sick, or whether people you love die, or whether a tornado tears apart your house–but you can decide whether to throw a ball high or low. You can at least decide that—until you can’t. Rick Ankiel sunk all the way down to the lowest minor leagues of professional baseball. He missed the 2002 season with an injury, then blew his arm out in 2003. After recovering from surgery, he briefly returned to the major leagues, but the control never came back. So in 2005, at the age of 26, he decided he wouldn’t be a pitcher anymore; he would play in the outfield. Now, pitchers don’t just become outfielders. The game is much too highly specialized for that. The last player to win 10 games as a pitcher and hit 50 home runs as a hitter in their career was Babe Ruth, who retired in 1935. His throws from outfield were phenomenally accurate—among the best in baseball. He would go on to play in the majors for six more years. Rick Ankiel got the yips, but the yips didn’t get him. I give the Yips one and a half stars. After the break, we’ll discuss CNN, but first: I am by trade and disposition a fiction writer. When facts do not suit my narrative wishes, I am inclined to ignore them, and without much regret. But when I began writing this podcast, I realized that it would need to be you know, broadly speaking, factual. So I took a Skillshare class taught by Ashley Ford called Creative Personal Writing, and then Susan Orlean’s course Creative Nonfiction. Both have stuck with me as I write these reviews and I really recommend Skillshare. Skillshare has over 20,000 classes—you can learn how to paint watercolors or understand spreadsheets—and if you go to skillshare.com/anthro now, you can get two months of unlimited access to Skillshare for only 99 cents. 99 cents for two months! Again, that’s skillshare.com/anthro. 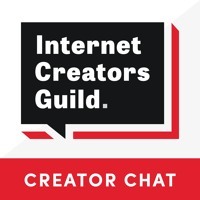 Thanks again to Skillshare for sponsoring this episode. Now back to the show. Let’s turn our attention to CNN, the 24-hour, nonstop news network that was launched by cable magnate Ted Turner on June 1st, 1980. The first broadcast began with Turner standing behind a podium speaking to a large crowd outside CNN’s new headquarters in Atlanta. Then CNN began its actual coverage of the attempted assassination of a black civil rights leader in Indiana and a shooting spree in Connecticut. That first hour of CNN coverage looks dated, with anchors wearing broad lapeled suits in a flimsy studio, but the actual news reporting feels very much like present-day CNN—careening from breaking news story to breaking news story, from fires to shootings to emergency plane landings. Even in that first hour, you can hear the rhythm of the news, the ceaseless pulse of it. And although the sets looked very cheap back in 1980, like most of their sets today, they had no windows. These days, there’s usually crisp, blue light in the background. You don’t know whether it’s morning or night, and it doesn’t matter, because the pulse of the news beats on. It’s always live—which feels, and maybe is, close to being alive. Of course, it’s hard to argue that CNN has brought the world together in brotherhood and kindness. There’s something nauseating about Ted Turner’s capitalist idealism, the notion that we can change the world for the better and make billions of dollars. But I do think CNN provides a service. It does a fair bit of investigative journalism, which can uncover corruption and injustice that otherwise would go unchecked. And unlike openly propagandist news networks, CNN’s reporters do challenge national and international leaders regardless of their political positions. (12:00) to (14:00) Also, CNN does report the news, at least in a narrow sense—if it happened today, and it was dramatic or scary or big, and it happened in the US or Europe, you will probably learn about it on CNN. But anything that unfolds slowly or that is hard to portray visually isn’t regular fodder for CNN—so we don’t see much about climate change unless a new report is published, nor do we see regular coverage of trends in child mortality. A 2017 study found that 74% of Americans believed that globally, child mortality has either increased or stayed the same over the last 20 years when in fact, child mortality has declined by nearly 50% since 1997, the fastest decline in child death in human history. To watch CNN, you might not know that. You also might not know that U.S. homicide rates are lower than they were 10 or 20 or 40 years ago. You might not think that global rates of death from war are at or near the lowest they’ve ever been. Today’s news is almost always bad news. But the news—the overall shifts in how humans live—that’s far more complicated than merely good or bad. The American humorist Josh Billings once wrote, “I honestly believe it is better to know nothing than to know what ain’t so.” And that seems to me the underlying problem—not just with CNN and other cable news networks, but with contemporary information flow in general. I have a story about this, actually. You may have heard it before, but I’ll tell it better this time. In 2003, I was living with my three best friends—Katie, Shannon, and Hassan—in an apartment on the northwest side of Chicago. (14:00) to (16:00) We’d survived those early post-college years where everything—for me at least—felt fragile and overwhelming and intensely unstable. Until I moved in with Shannon and Katie and Hassan, everything I owned could fit into my car. My life had been, to borrow a line from Milan Kundera, unbearably light. But now, things were settling down in wonderful ways. We had our first semi-permanent jobs, our first semi-permanent furniture. We even had a television with cable. But mostly, we had each other. That apartment—the walls all painted very bright colors, no sound insulation, only one bathroom, tiny bedrooms, and huge common areas—it was designed for us to be in it together, to be in every part of life together. I know I am romanticizing this past—we had huge fights, we got our hearts broken, we got too drunk and fought over who would get to puke into the one toilet, etc.—but it was the first time in my adult life I felt okay even some of the time, and so you’ll forgive me if I recall it with such fondness. That August, I turned 26, and we threw a dinner party called John Green Has Outlived John Keats, and everybody who attended read some poetry. I read from that Edna St. Vincent Millay poem that goes, “My candle burns at both ends / It will not last the night / but ah my foes and oh my friends / it gives a lovely light.” A few days later, the owners of the building told us they were selling it. But even if they hadn’t, the apartment would’ve split up eventually. Marriage, families, careers, immigration policy—the big forces of human life were pulling us in different directions. Hassan was from Kuwait, and he had some family members in Iraq as well, and for a few weeks after the invasion, he didn't hear from them. In the end, they were fine, but it was really scary and one of the ways he coped was watching cable news basically all the time. And because we only had one TV, and we were constantly together, that meant the rest of us watched a lot of news as well. Even though the war was covered 24 hours a day, very little context ever entered the picture. The news talked a fair amount about the relationship between Shia and Sunni Muslims in Iraq, for instance, but never paused to explain the theological differences between Shias and Sunnis, or the history of Iraq, or the political ideology of the Baathist movement. There was so much news, news that was forever breaking, that they never paused for context. So one evening, just after the U.S.-led forces entered Baghdad, we were all watching the news on the couch together. New footage was being broadcast from the city, and we watched as a cameraman panned across a home with a huge hole in one of its walls that was mostly covered by a piece of plywood. There was angry-looking Arabic graffiti scrawled in black spray paint on the plywood, and the reporter on the news was talking about the anger in the street, and the hatred, and Hassan started to laugh. I asked him what was so funny and he said, "The graffiti." And I said, "What’s funny about it?" On a minute by minute basis, it’s really hard for any of us to consider the happy birthday sir despite the circumstances possibility. We project our expectations and fears and et cetera onto everyone and everything we encounter. We believe that what we believe to be true must be true because we believe it. We imagine lives that feel distant from us monolithically. We oversimplify. We forget that everyone has birthdays. Good journalism seeks to correct for those biases, to help us toward a deeper understanding of the universe and our place in it. But when we can’t read the writing on the plywood but still think we know what it says, we are spreading ignorance and bigotry, not peace and friendship. I give CNN two stars. Thanks for listening to this episode of The Anthropocene Reviewed, which was written by me, produced by Rosianna Halse Rojas, and edited by Stan Muller. And thanks also to Rosianna for insight into the non-American experience of CNN. If you’d like to suggest a topic for review, or just say hi, you can email us at anthropocenereviewed@gmail.com, or find us on twitter or Facebook. 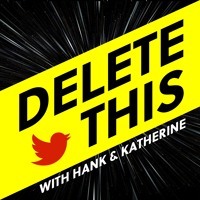 One last thing: If you’d like to help our podcast, please tell your friends about it, or write a review on iTunes. We really appreciate your feedback, and we’ll be back on the last Thursday of next month with new reviews. My favorite fact that didn’t make it in to today’s reviews: Rick Ankiel, now 39 years old and retired from baseball, recently announced that he is attempting yet another comeback—this time, as a pitcher again. Thanks again for listening to The Anthropocene Reviewed; we leave you today with a song from my former roommate Katie Else, whose new album Songs from Across the Lake and Sea was just released. (20:00) to (20:15) My heart it felt as buoyant and boundless as the waves.